Rab Wallpack in bronze color, has precision die-cast aluminum housing with polyester powder coated finish. This junction box/direct wall mountable wallpack uses 24-Watt lamp that has voltage rating of 120 - 277-Volts and current rating of 0.2-Amp at 120-Volts/0.13-Amp at 208-Volts/0.11-Amp at 240-Volts/0.09-Amp at 277-Volts. Lamp in this wallpack has color rendering index of 81 CRI and color temperature rating of 5000K. Lamp offers 2942-Lumens of bright light output. This wallpack comes with borosilicate glass lens and high temperature silicone gaskets to seal out the dust. 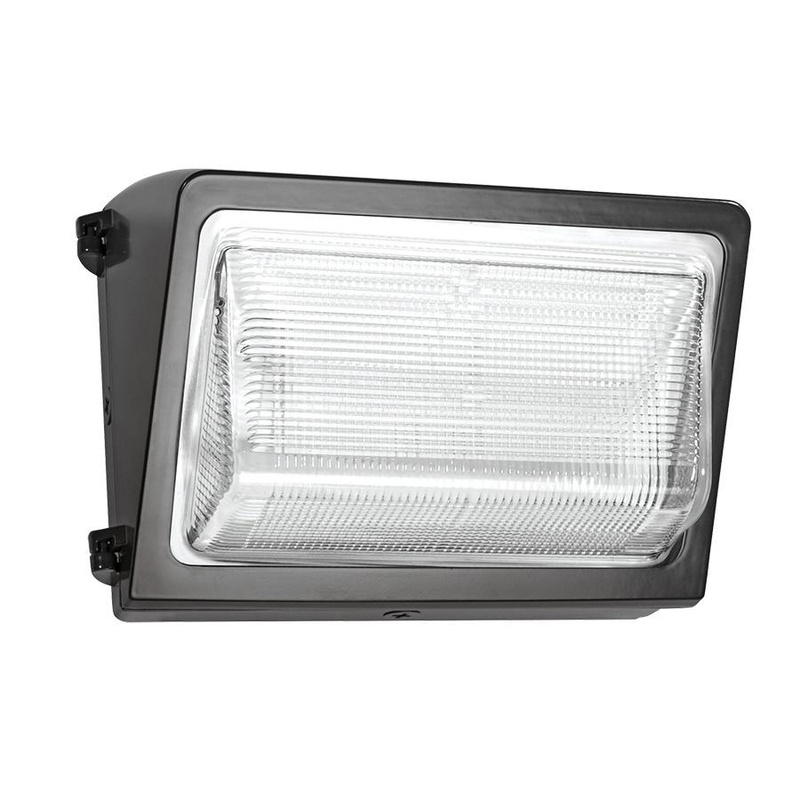 High-gloss white aluminum reflector delivers uniform light distribution. It has average life of 100000 hours. Distinctly it has efficacy of 118 LPW. Wallpack measures 14-Inch x 9-Inch x 7-1/2-Inch. Die-cast aluminum heatsink offers superior thermal management. 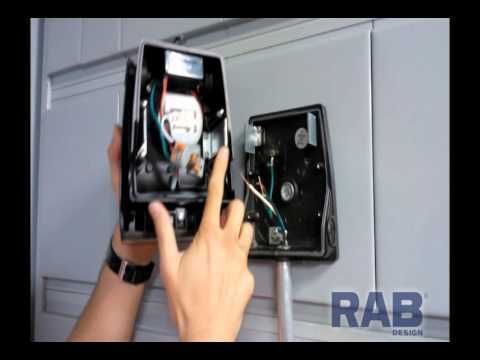 Wallpack is UL listed, DLC certified, RoHS compliant and meets IESNA LM-79 & LM-80 standards.